The turn of a new year brings with it the chance to make good on those dreams, hopes and aspirations that we all have – whether it’s to live more healthily, plan that once in a lifetime trip, or to strike a better work/life balance. Making New Year resolutions can be motivating, but often (though not for everyone!) the personal ones we make to ourselves tend to fall by the wayside come the beginning of Feb! 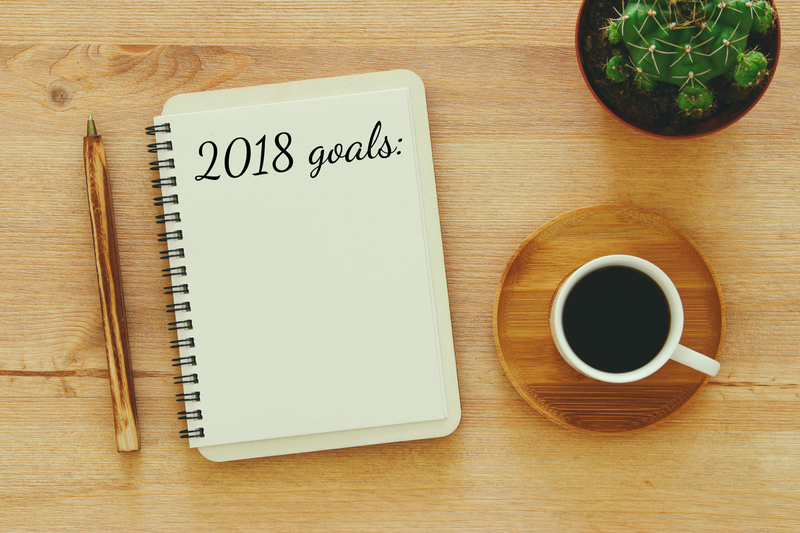 This year, however, we at Nicol encourage homeowners to take the time at the beginning of 2018 to make some practical New Year resolutions when it comes to your home. Think of the turn of the year as the perfect time to plan out the year ahead as a homeowner, in order to protect often the largest asset you own – your home – even building upon your investment. With over 100 years combined experience in the local property market, the Nicol team is here to make those big plans and dreams a reality. 2018 could be the year you finally make the move to your ideal, forever home. You’ve perhaps outgrown your current property, prefer the location, schools and amenities of another area or are looking to build up some equity. We can help with both the selling and buying process – matching your existing property with potential buyers via our large home buyer database as well as showing you some of the fantastic properties on our books. All our staff are dedicated to providing the highest level of service and attention throughout the entire moving and selling process, and we are available 7 days a week too. We are lucky at Nicol Estate Agents to work in East Renfrewshire, one of the highest ranked areas of Scotland for quality of life, with a fantastic choice in property. Our selection of brand new, new build homes are ideal for those looking for a fresh start and somewhere you can really put your own stamp on. For those who like more traditional features, we have some stunning period properties – from town houses, to converted steadings and detached villas, offering generous accommodation with 3, 4 or 5 plus bedrooms. Moving to East Renfrewshire offers some of the best schooling, leisure and amenities around, with hugely popular welcoming communities like Newton Mearns, Giffnock and Eaglesham offering an outstanding quality of life. There are excellent commuter links into Glasgow yet you aren’t far from some scenic countryside into more rural areas and down towards the west coast. Perhaps you have been consulting with financial advisors and have decided 2018 is the year to invest in property. Could this be the year to buy a rental property and venture into the landlord market? Or perhaps you’ve had your eye on a holiday home abroad? At Nicol Estate Agents, we can talk you through some potential investment properties – from apartments perfect for renting out to holiday homes on the Costa Del Sol! Homeowners who are happy staying put can also make some constructive planning steps at the New Year too – whether it’s to finally get to those small DIY repairs or beginning that loft conversion project. Steps towards updating kitchens, bathrooms or giving a general freshen-up of your home all help to keep it in the best condition possible, acting to protect your investment and making it easier if the time ever comes to sell-up. Whatever you are planning for this year, here’s to a happy and prosperous 2018, homeowners!